Maybe you’re the type of person who loves organizing your closet, getting your clothes just-so and stepping back to admire your work. Or maybe you’re the type of person who has “the chair” that accumulates worn (and tried on) clothes day after day. 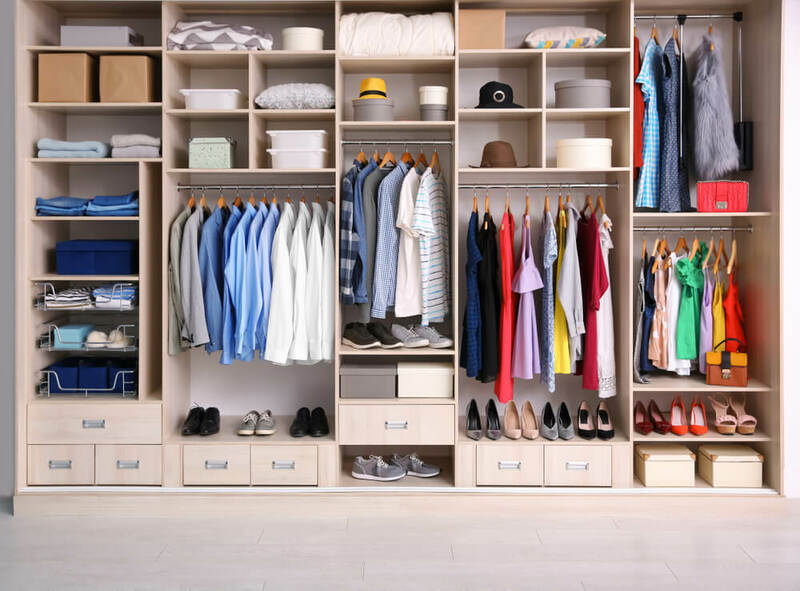 Whether you’re Type A or take a more relaxed approach to your home organization, you deserve a gorgeous closet that makes it easy – and enjoyable – to get dressed. To that end, we polled our Freshome team and gathered up our best closet organization tips. We know, you don’t necessarily want to have to spend money to get your closet in top shape. But we swear you’ll never regret investing in some baskets and/or bins. Why? When you have quick and easy storage in your closet, it can become a catch-all. That pile of scarves can be neatly stored. That bundle of belts gets a home. Socks and underwear are kept in order. 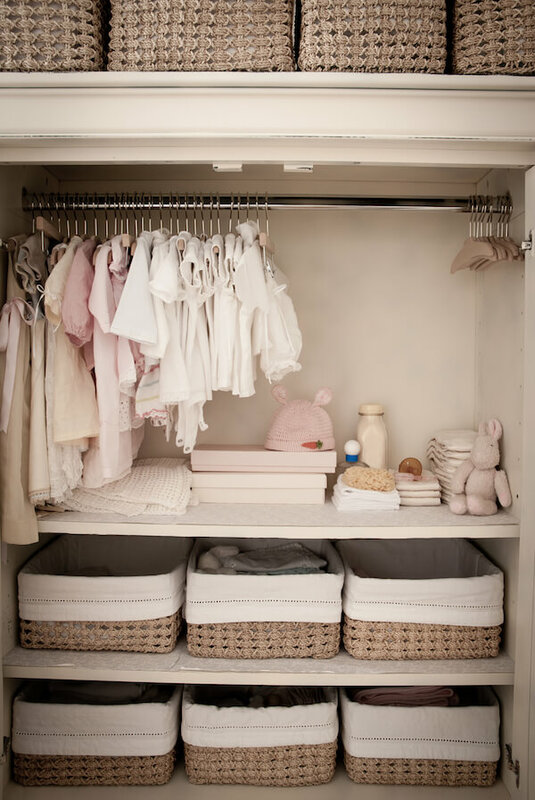 In short, baskets and bins are the easiest way to corral your closet items and avoid clutter. If you’re on a budget, affordable, stackable plastic drawer bins, like the IRIS Chest Plastic Box at Wayfair, is a great way to create some sense of order in your closet. The clear front of the drawers makes it easy to see what’s inside at a glance. Or, if you want something a little more aesthetically pleasing, check out the Water Hyacinth Storage Bins from The Container Store. They come in a variety of sizes so you can customize your closet to meet your needs. Want a one-stop shop to get you started with closet organization? Invest in the Luxury Closet Starter Kit, also from The Container Store. It’ll set you up with 25 thin hangers to free up more closet space, plus a bin for storing your handbags, one for storing your sweaters and four for your shoes. Again, the clear-paneled front makes it easy to see what you’ve got and pick out an outfit in a flash. When we went around asking for closet organization tips, quite a few of our Freshome staff recommended organizing the closet by color. And our reasons for this recommendation were pretty varied. Some of us like the aesthetically pleasing nature of having a closet that mimics a rainbow. Some of us like the efficiency that comes with being able to find things quickly with just a glance. And some of us like the way a color-coordinated closet makes it a no-brainer to put together a matching outfit when you snoozed your alarm one too many times. If you’ve been thinking about organizing your closet, try pulling out all of your hangers and re-hanging everything with similar colors. You’ll be amazed at how rewarding it is to step back and look at your beautified, organized closet. Also, another of our favorite closet organization tips can come into play here. Rehang everything with the hanger facing the “wrong” way. After six months, any hangers that are still facing backward clearly hold items you don’t actually wear and can donate or sell. Want a surefire way to make it easier to keep your closet organized? Clear it out. Seriously, we know it sounds daunting but paring your wardrobe down to only what you actually wear is key. It’s a whole lot easier to keep a moderately full closet organized than to try to shove things back into the right places in an overstuffed one. This doesn’t necessarily mean you need to get rid of a bunch of clothes, either. Consider buying a few bins to pack seasonal items into storage. You’re not going to need those bulky sweaters during the summer, and you probably won’t be reaching for your shorts during the winter, either. When you pack up your storage bins, put your favorite items on top. That way, if you go on vacation to a different climate, you can quickly grab what you’ll need. Beyond that, consider donating or selling the clothes you don’t wear anymore. If you’re feeling really hesitant about letting things go, pack them into a box and put them in storage for a month. If you truly miss any pieces during that time, you can bring them back out. But you might just love the extra space in your closet so much that you can’t imagine going back to the way it was before. We don’t know what it is about shoes, but they seem to be one of the hardest items to keep in order. Much like bins, shoe organization items can completely transform your closet with minimal effort. That’s why one of our top closet organization tips is to shelf your shoes. And you’ve got options, depending on your available space. 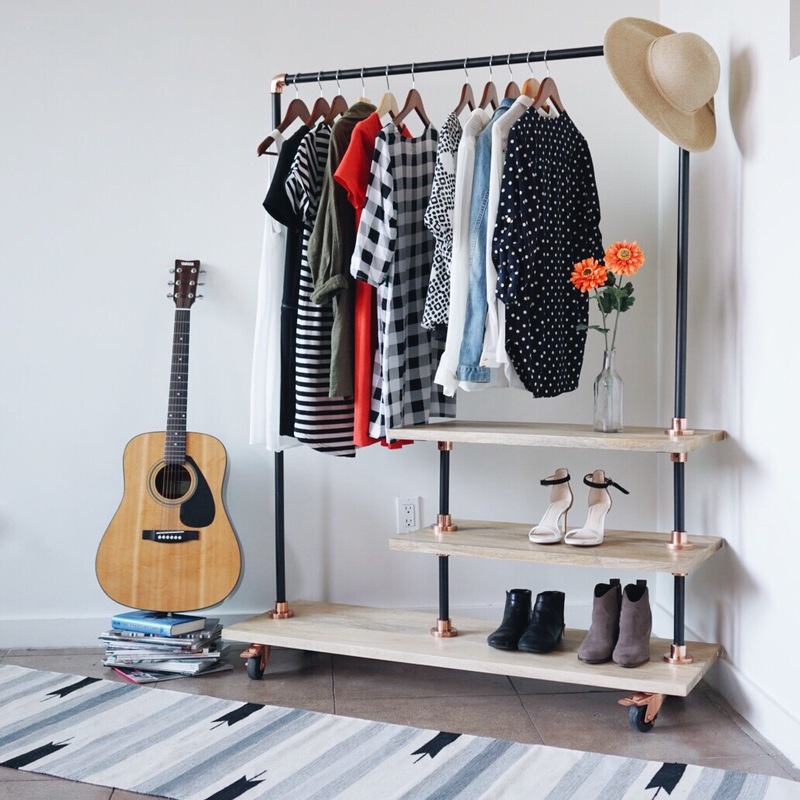 If you have open floor space, we love a rack like the 4-Tier Shoe Rack from Target for its versatility. It can house flats, heels, low boots, sneakers and more. Plus, its walnut-finish top is ideal for stashing items that usually end up on your closet floor. Or, if you’re tight on space, you could opt for shoe storage with a minimal footprint like the 15-Pocket Over-the-Door Organizer, also from Target. Over-the-door organizers don’t have to just be for shoes, either. You can use them to store any small closet items that clutter up the space. We all had some general closet organization tips and tricks, but what works for each of us is a little different. What hacks have helped you keep your closet beautiful? We’d love if you shared them with us in the comments! The post Closet Organization Tips from the Freshome Team appeared first on Freshome.com.